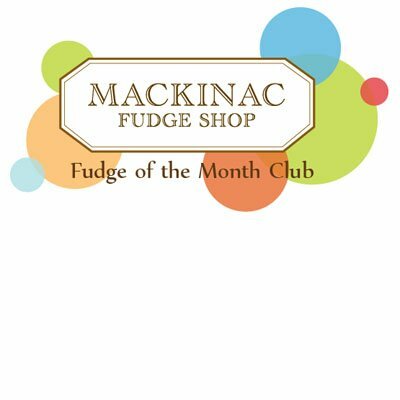 12 month subscription to our Gourmet Mackinac Island Fudge of the Month Club. Each month the recipient will receive a 1 1/2lb box of our gourmet fudge with 3 different flavors. Flavors include: Dark Chocolate, Black Forest, German Chocolate Cake, Coconut Cream Pie, Cherry Vanilla, Rocky Road, Turtle, Mocha Pecan, Cream de Menthe, Holiday Peppermint, Chocolate, Chocolate Walnut, Chocolate Pecan, Chocolate Peanut Butter, Peanut Butter, Peanut Butter Pecan, Old Fashioned Vanilla, Vanilla Pecan, Maple & Maple Pecan, as well as special seasonal flavors. A welcome letter and monthly flavor calendar is encluded with the first shipment. If you have any questions about this product by Mackinac Fudge, contact us by completing and submitting the form below. If you are looking for a specif part number, please include it with your message. Dulcet's Ultimate Gift Tower Baskets Includes- Cookies, Whoopee Pies,Brownies, Rugelah, Muffins, Pond Cakes, Tea. Best Gift Idea! Baileys Irish Cream Cheesecake, 6 Pound -- 2 per case.